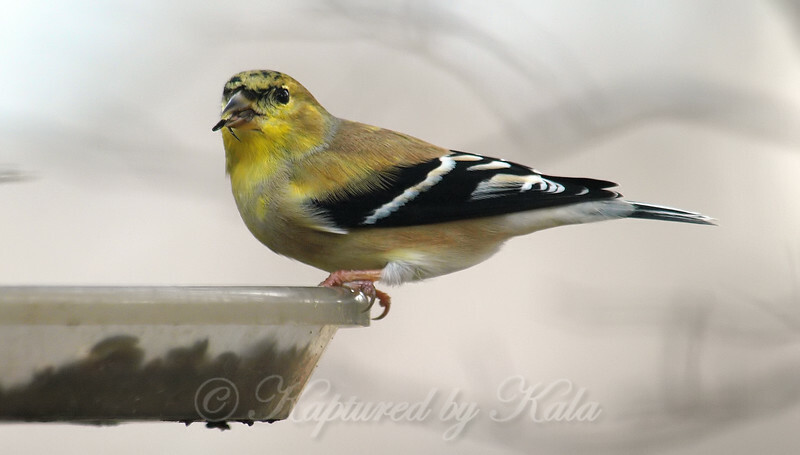 Goldfinches love sunflower seeds, even the large striped ones. They can shell them in their beaks like cardinals and don't need to bang them on a branch like blue jays. For a small bird, they have powerful beaks.